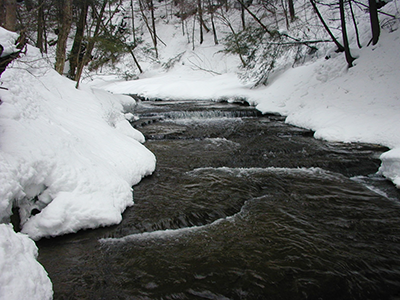 The City of Ithaca launched a flood mapping and mitigation initiative to project the impacts of rainfall, streamflow, and lake level on flood risk and identify measures that can protect the community in a changing climate. EcoLogic is teaming with other environmental science and engineering firms guided by a task force of water resources professionals from the City of Ithaca, USGS, Cornell University, Tompkins County Planning Department, and Tompkins County Soil & Water Conservation District. EcoLogic will engage town and village officials in the subwatersheds to incorporate their local knowledge as the broader project team defines priority areas and develops hydrologic and hydraulic models of four major southern tributaries to Cayuga Lake.